Sejin graduated from University of Otago (NZ) in 2006 with a Bachelor of Physiotherapy. He started his career working in private practice in Auckland with strong focus on manual therapy and exercise rehabilitation. He moved to Melbourne in 2010 and continued working in private practices before joining the team at Berwick Physio in 2016. Sejin is committed to continuing further training and professional development and has over the years completed the Polestar Pilates Rehabilitation Series (2008), Post-graduate certificate in Orthopaedic Manual Therapy (2009) and Post-graduate Diploma in Musculoskeletal Physiotherapy (2016). His next plan is to get into research at Latrobe University in the near future. 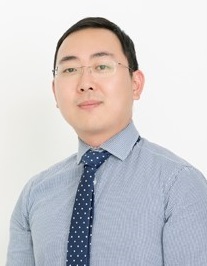 Sejin has a particular interest in treatment of spinal injuries but is also confident and competent in treating variety of sports and musculoskeletal injuries. He uses ranges of hands on manual therapy techniques but also believes in importance of exercise based rehabilitation programs for treatment of various conditions. Sejin enjoys spending his spare time playing badminton or going to the gym but often he will be busy around the home or out in the garden.